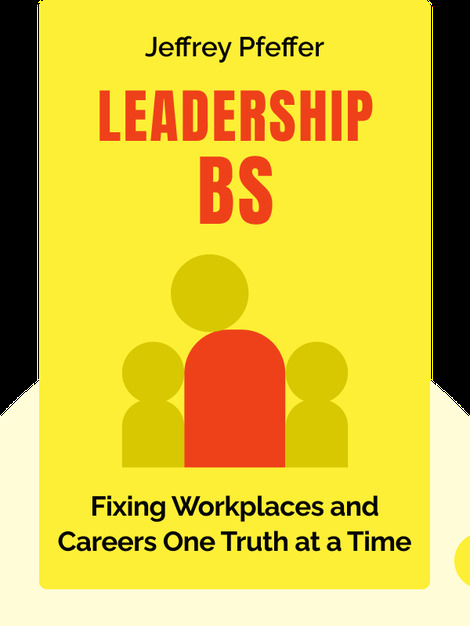 Leadership BS (2015) looks at the dirty world of business executives to see what life’s really like at the top of the corporate ladder. What we find is something quite different than the squeaky-clean image most motivational leadership gurus and CEO biographies will try to sell you. Discover what a nasty business you’ll really have to get into if you want to become a successful leader in today’s cutthroat business world. 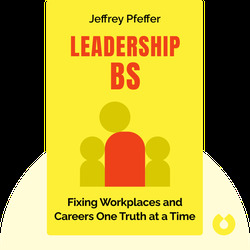 Jeffrey Pfeffer is a professor at the Stanford Graduate School of Business and has taught many classes on effective human-resource management. Today, he is considered one of the world’s leading management experts, with published research on organizational power that goes back nearly 30 years. He is also the author of Power, which details how readers can successfully wield power in their everyday lives.